Savills says that Q2 2015 saw a 65.7 per cent increase in property investment across the residential, industrial and commercial sectors, compared to the previous quarter—the highest since Q3 2013. Market watchers told Channel NewsAsia that pricing and location remain key factors in closing home sales. Projects designed by world-renowned architects may also boost sales volume. 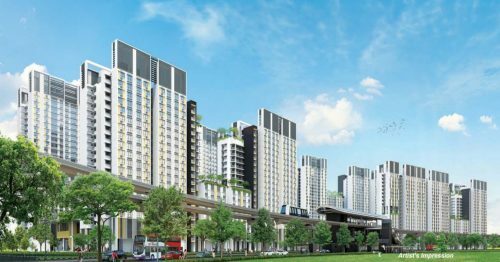 Mr Nicholas Mak, Executive Director for Research & Consultancy at SLP International Property Consultants, cited prime locations near Orchard Road and Paterson Road as an example, noting that top-end architects may not be required for such projects. 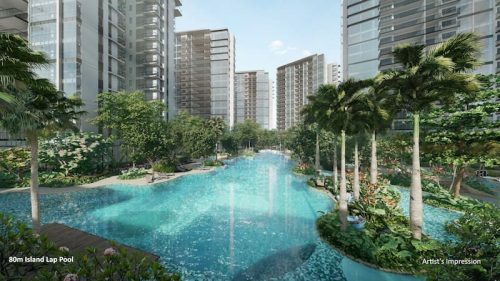 An example of such a project is Sky Habitat at Bishan Central, the most recent designer condominium to be completed. 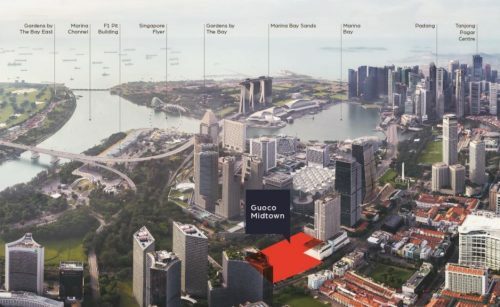 The 99-year leasehold development commanded launch prices between S$1,650 and S$1,750 per square foot (psf) in April 2012, competing with condominiums located in the city. In June last year however, median transacted prices were approximately S$1,340 psf. About 140 units remained unsold as of June 2015. A trend study has pointed towards the partial lifting of cooling measures set by the Monetary Authority of Singapore (MAS). With prices dipping by 6.9 per cent and poor GDP figures in Q2 2015, analysts from OCBC believe that property loosening measures are in order. These predictions were made based on scenarios in 1997, 2001, and 2008, when a negative economic outlook and price declines in the housing market heralded the relaxation of cooling measures. 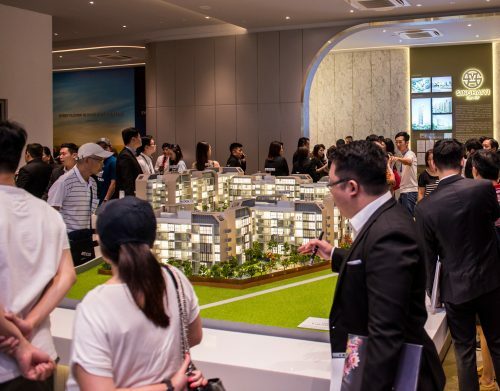 According to the report, the Additional Buyer Stamp Duty (ABSD) is most likely to be adjusted, given its direct impact on demand. While the government may also restrict government land sales (GLS), this is less likely as it would take comparatively much longer to impact the market and runs the risk of unintended, negative side effects on the banking system and create moral hazards for developers. Mass market home prices are expected to decline sharply as developers face rising interest rates, uncleared inventory and high vacancy rates. According to a Maybank Kim Eng report, mass market home prices have jumped 74.9 per cent since 2009 and have declined only 5.2 per cent so far. Luxury home prices in the Core Central Region on the other hand saw a smaller increase of 48.9 per cent since 2009, but have fallen more significantly, by 7.5 per cent. Hong Kong is expecting to see a significant increase in property sales despite cooling measures put in place by the government. As Hong Kong’s buyers turn towards overseas property prospects, this is overcompensated by the influx of foreign demand, with the majority of buyers hailing from mainland China, looking for prime purchases. As such, property prices are expected to see a ten per cent hike in H2 2015. Hong Kong’s cooling measures were introduced in response to residential market prices with a maximum 60 per cent loan-to-value ratio reaching an all-time high. While homes valued under HK$7 million saw greater down payment requirements, new home sales were not impeded. On the contrary, sales jumped by a staggering 43 per cent, along with a seven per cent price increase. This has propagated concerns that the Hong Kong government may introduce new cooling measures to temper foreign demand. Banks have raised interest rates and raised loan-to-value ratio requirements as regulators strive to manage riskier investments in the housing market bubble. In response to a price hike of 29 per cent caused by the influx of Chinese investors and low mortgage rates, banking regulators raised banks’ holding capital against mortgage losses from 17 to 25 per cent. Banks have also reduced the maximum loan amounts along with the acceptable sources of income for borrowing applicants. While a price collapse is unlikely, stricter loan-to-value rations will deter investors and manage market growth.